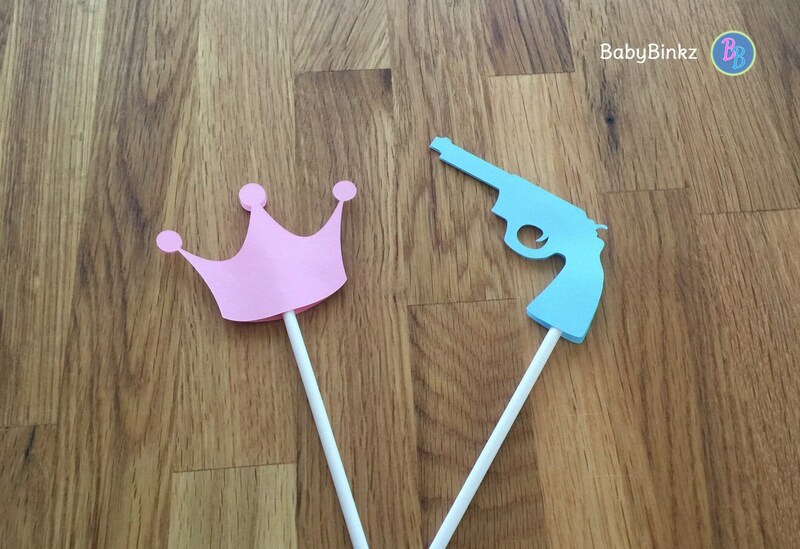 Will the new baby like Guns or Glitter? 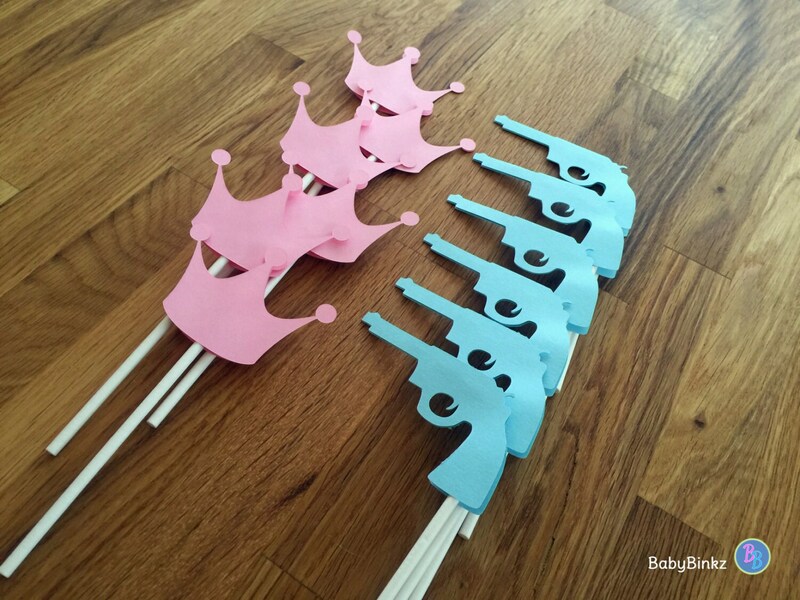 Each set includes 12 double-sided die cut cupcake toppers constructed from two layers of heavy weight card stock. 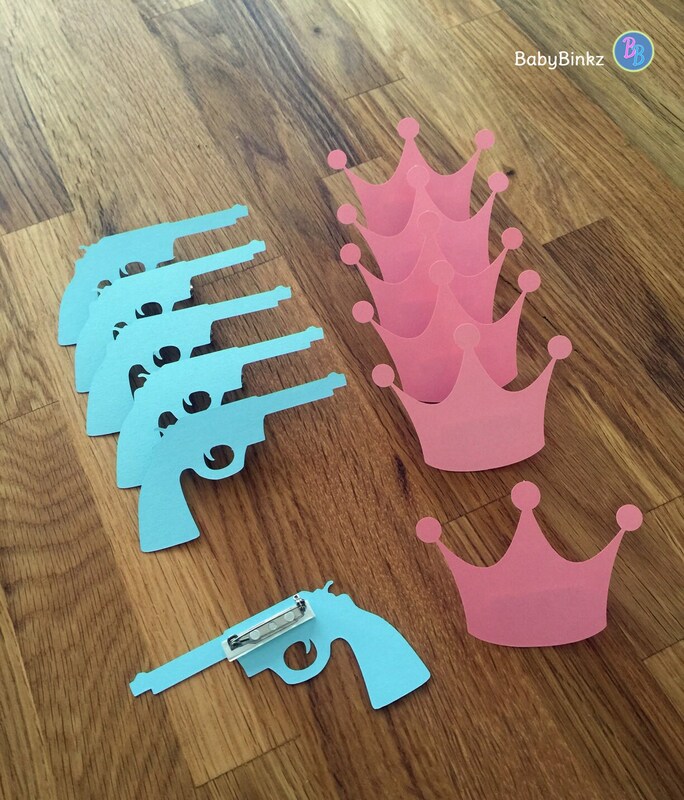 You will receive six (6) Pink Crowns and six (6) Blue Gun cupcake toppers! 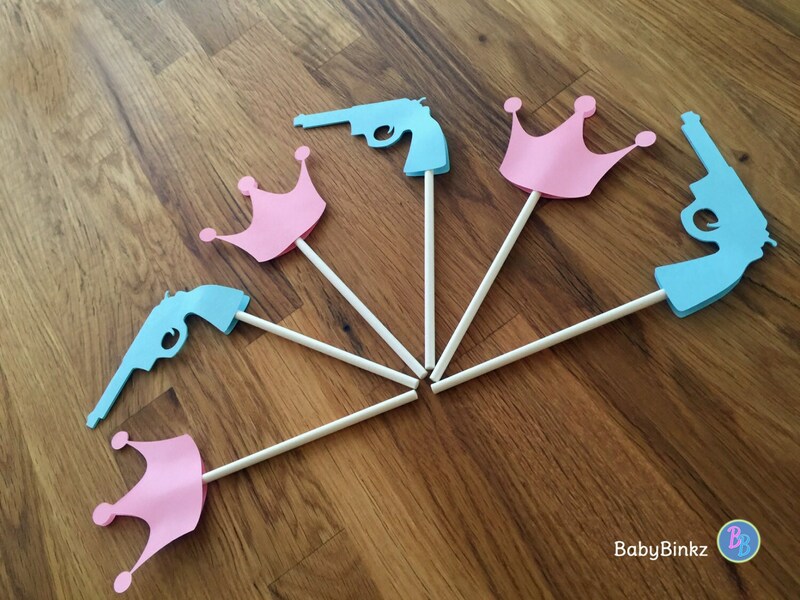 They measure 3" wide and are mounted on a 4.5 inch lollipop stick to add dimension. 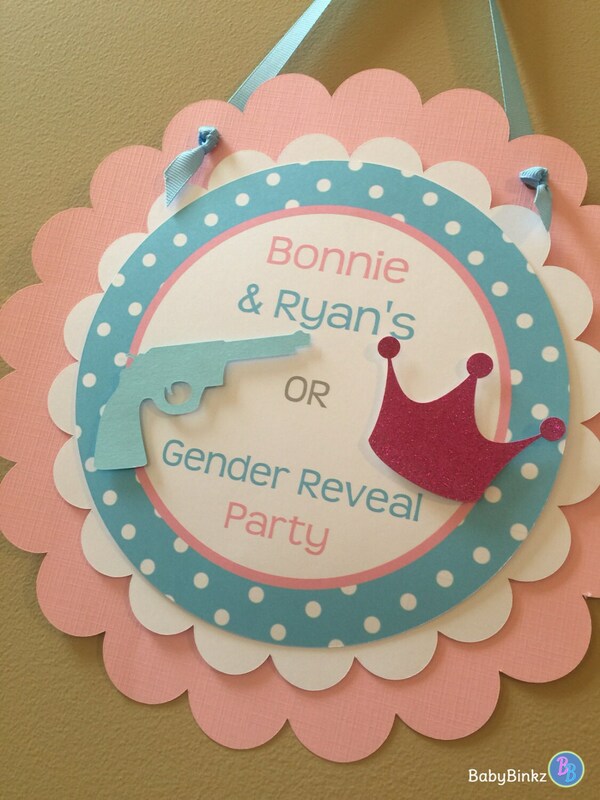 This listing is for the Cupcake Toppers only, but be sure to check out all of our coordinating Guns or Glitter Products!